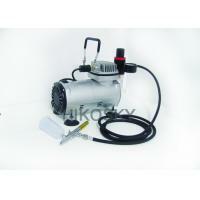 This model is mainly used for airbrush tattoo and airbrush tanning etc. This airbrush tattoo kit is mainly designed to deliver a tattoo ink as the active ingredient to produce a perfect, attractive body tattoo and body art. 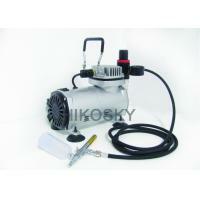 This airbrush kit contains a HK-60 air compressor, a HK-H24 braided air hose and a HK-131 airbrush tanning gun. It is lightweight, portable, silent, easy to use and easy to clean. 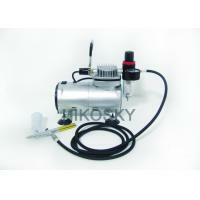 The compressor in the kit has an airbrush holder included, which is very convenient for working. 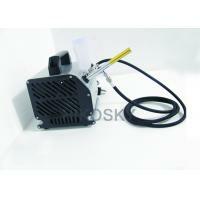 1．Using air hose to connect airbrush to the mini compressor. 2．Connect the electric plug to the power. 3．Press ON/OFF to OPEN/CLOSE the compressor. 4．Use the knob to adjust the airflow according to requirement. 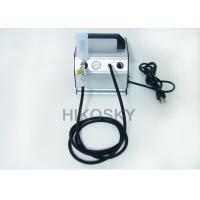 This airbrush tattoo kit is using double action airbrush gun, it is convenient to control.